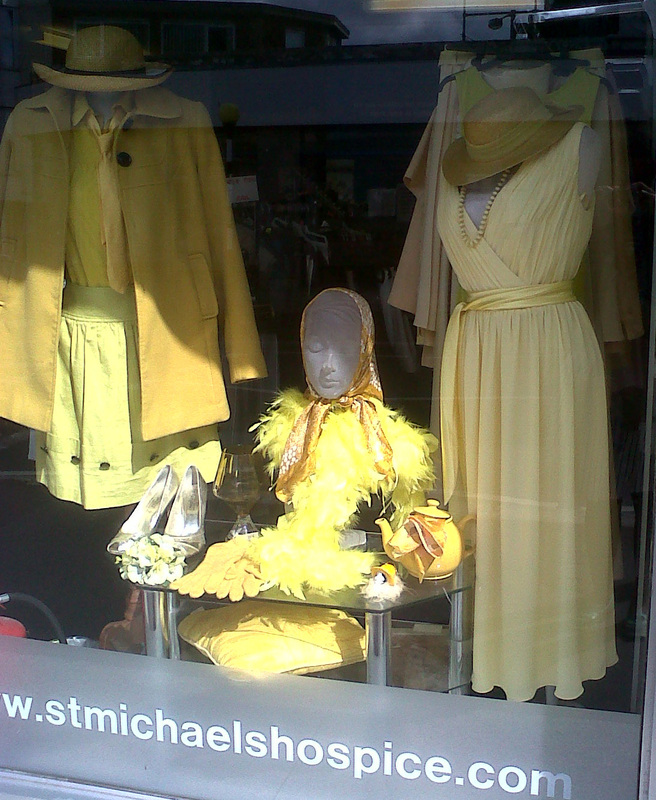 Think dandelions, daffodils and buttercups, think yellow ribbon & old oak tree, think what you like .... but for the past six years local schools, colleges, nurseries and companies have been taking part in the St. Michael's Hospice' special Yellow Day, an opportunity for everyone to wear something yellow for the day in exchange for a donation of £1. And this is my little styling contribution! There is a yellow feather boa and a teapot involved, golden peeptoe heels, yellow gloves, a silk scarf and vintage glass. The Grecian style dress is a size 14 and refreshing for a Summer Party!